Walking up to the grand Regency building which houses a contemporary 15-bedroom Fishmore Hall, you’re met with an air of both exclusivity and hospitality. Surrounded by the green of the rolling Shropshire Hills on the rural fringe of pretty Ludlow and, on our visit, bathed in brilliant sunshine, the hall looked like a perfect slice of the English country dream. The hotel’s history is also a kind of rural dream. Having once been a grand residence, then a respected school during the Second World War, the building fell into disrepair before being rescued by its current owner in 2007 and has been growing its reputation as a boutique hotel with fantastic food for almost a decade. Once inside, our impressions were confirmed by the friendly and unstuffy welcome. Our en suite room was comfortable and elegant and – importantly for those looking for a relaxing break – very quiet, with views of green sweeping off into the distance. 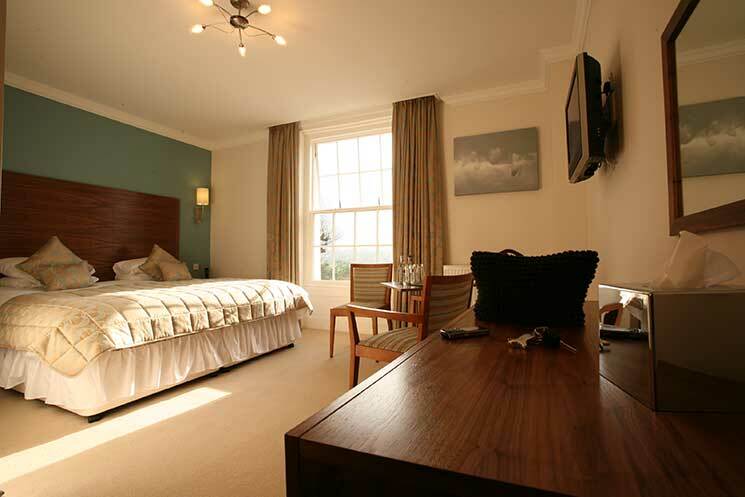 Classically chic with understated charm, the rooms clearly are designed with relaxation in mind, offering a selection of pillows and a hugely comfy bed. The bathroom was the epitome of luxury with a huge bath and shower with enormous waterfall head, bolstered by a selection of indulgent Molton Brown products, so there was no excuse not to kick off the shoes and walk away from the stresses of everyday life. 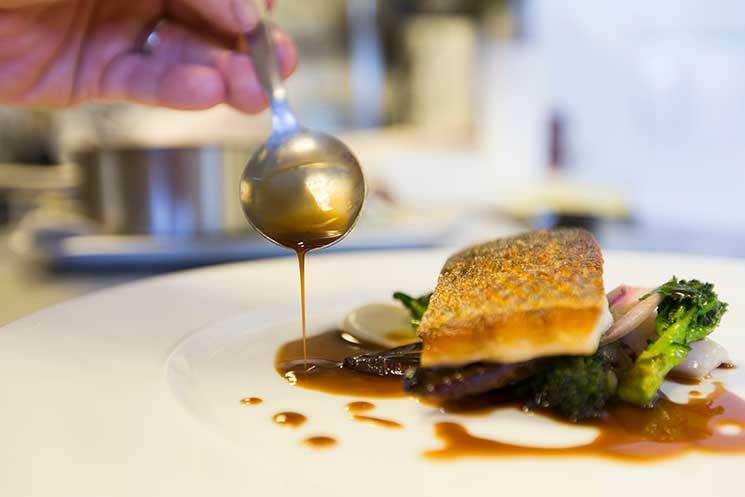 This is where Fishmore truly shines – even in foodie Ludlow, which sets the bar high. 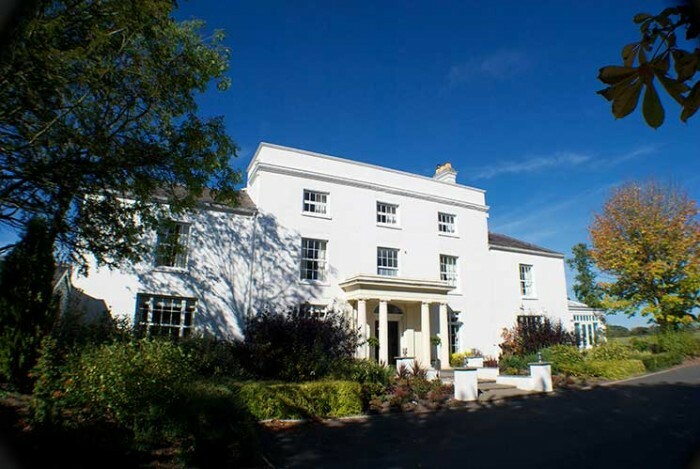 Its fine-dining Forelles restaurant won 2AA Rosettes within 10 days of opening, and has maintained 3AA Rosettes since 2011. Under head chef Andrew Birch since 2014, the restaurant famously offers seven- and nine-course tasting menus to sample its exceptional cuisine, which focuses on simple yet stylish food with an emphasis on the local and seasonal. Most ingredients are from within a 30-mile radius. We opted for the three-course a la carte option which, served with the addition of canapes, amuse bouche, pre-dessert and petit fours, mutated into a veritable feast. Among the highlights were a stunning roast cauliflower amuse bouche served with caviar, which felt deeply indulgent and offered us new taste sensations, and the final showpiece: an artisan cheese board, with five cheeses self-selected from the menu. For cheese fanatics, this is perfect pudding; the menu is littered with tasty treats with quaint and intriguing names such as Ribblesdale Goat, Hereford Hop and Lancashire Bomb, all served up with quince jelly and delicious homemade breads. Cheese heaven. The stylish service is relaxed but efficient in a clean, unstuffy dining room with beautiful views over the garden, where you feel welcome to linger unhurried over your meal and soak up the ambience; however, there’s also a brasserie menu if you don’t feel like going the whole hog every night. Breakfast was a similarly sublime affair and, despite early doubts about our ability to polish off another plate of food, Eggs Benedict and Smoked Salmon and Scrambled Eggs were soon demolished, washed down the delicious coffee and topped off with toast plastered with ridiculously good marmalade. 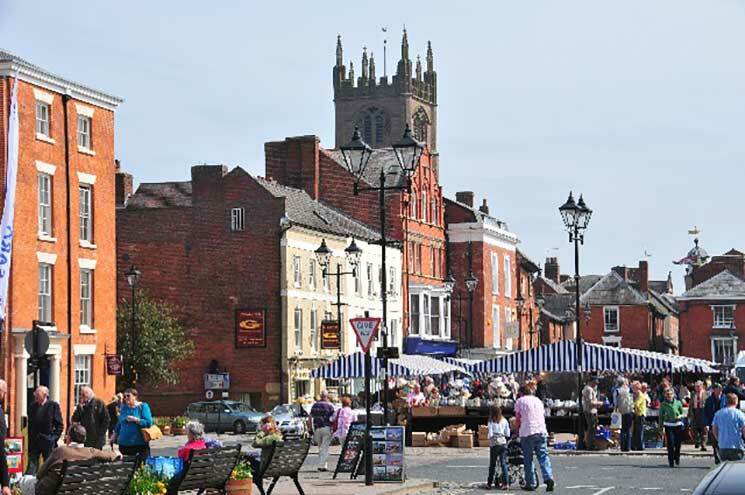 The nearby market town of Ludlow is famed for its foodie credentials and offers manifold dining delights in a glorious setting. As well as food, there is a weekly market and occasional flea and antique markets in the Castle Square, as well an artisan shops, antique dealers and vintage shopping. The town is also a delight for history lovers as it is packed with Tudor treasures – the Tudor roses seems to appear on every edifice and half-timbered houses proliferate. Lovely Ludlow Castle sits in the centre of town and is where King Henry VIII’s elder brother, young King Arthur, was sent with his young bride Katharine of Aragon, and where he sadly died. With its rural location, laid-back style and quality cuisine, Fishmore Hall is the perfect getaway spot if you want to leave the work-a-day world behind and indulge in the finer things in life. And, with one of the nation’s most romantic market towns, Ludlow, just a stone’s throwaway, there’s plenty to keep you amused if you want a longer break.